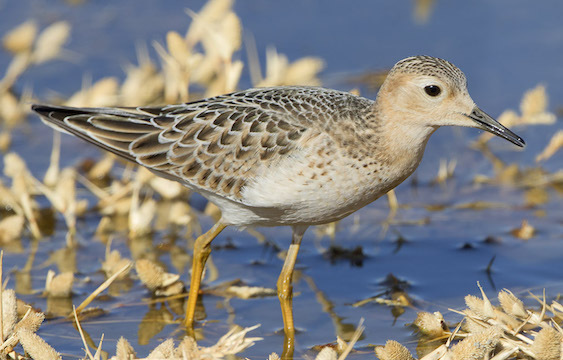 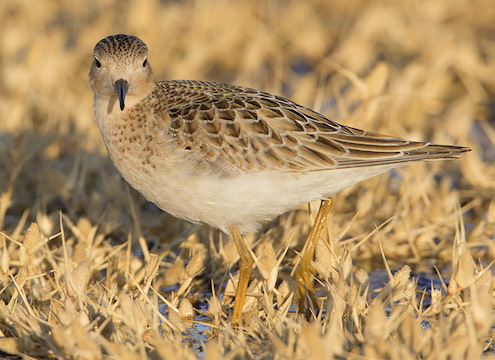 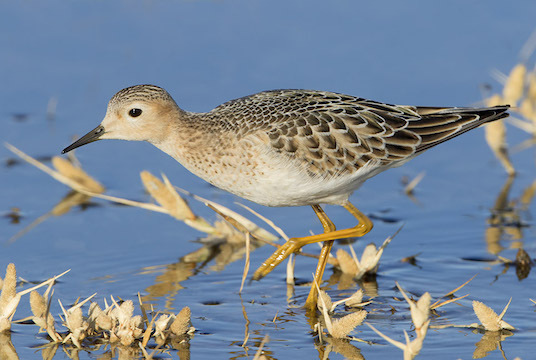 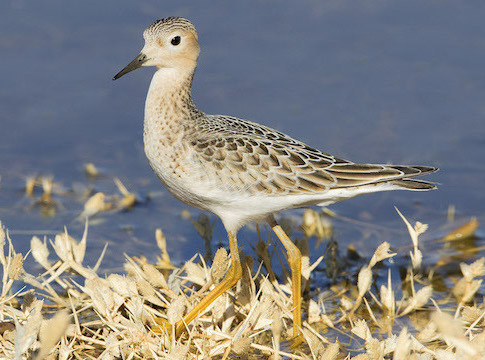 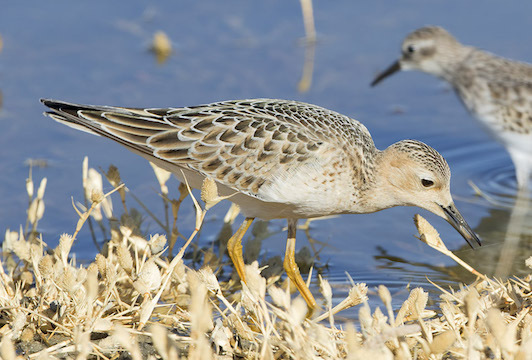 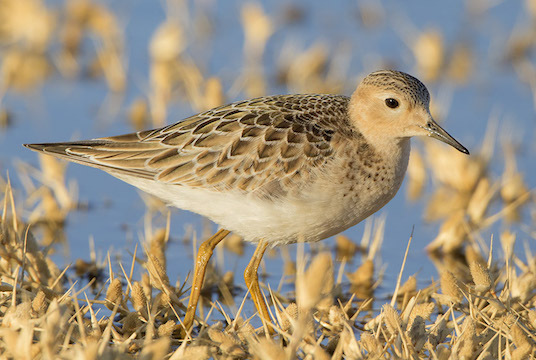 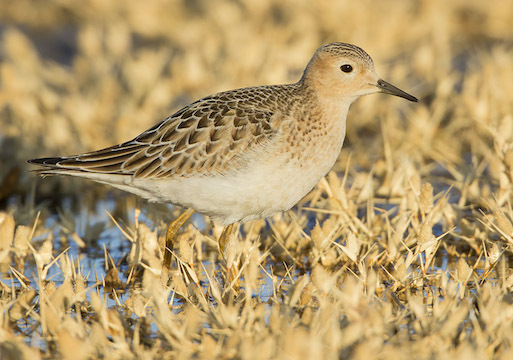 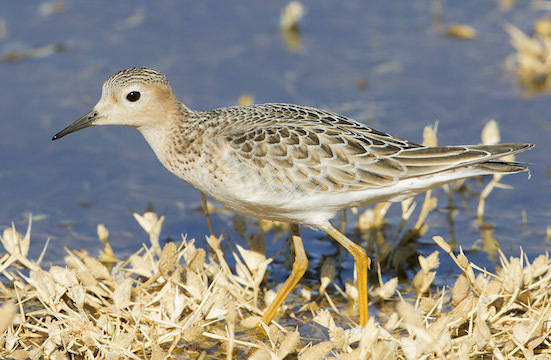 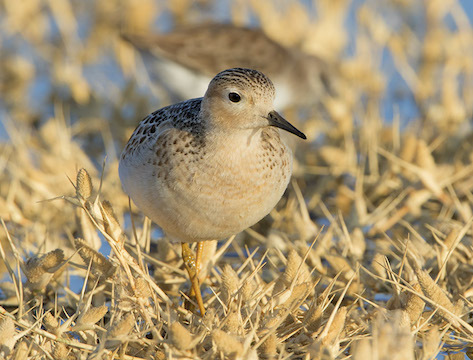 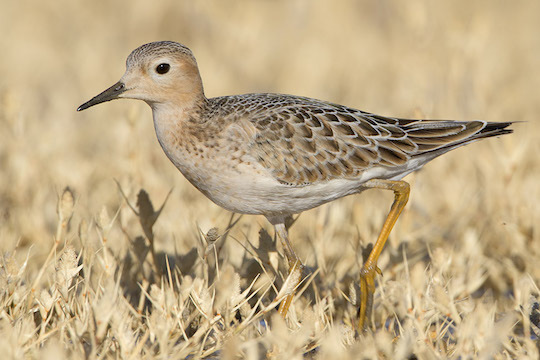 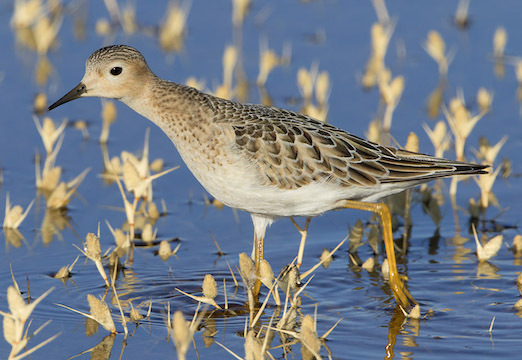 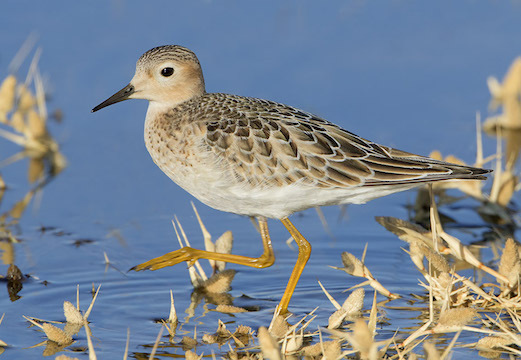 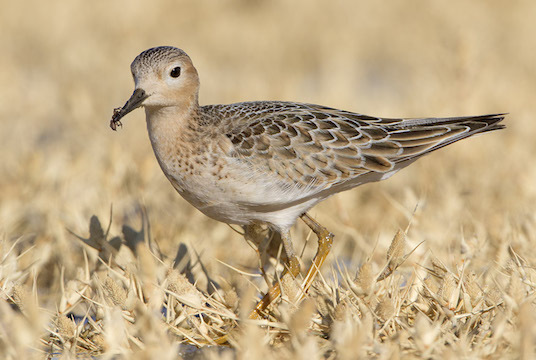 Buff-breasted sandpipers are elegantly-plumaged Arctic tundra breeders that spend the northern winter in Latin America. 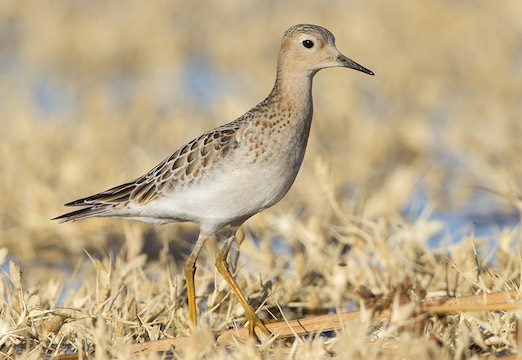 They are a lekking species (males display in groups to attract females), and are very rare on the west coast during migration. 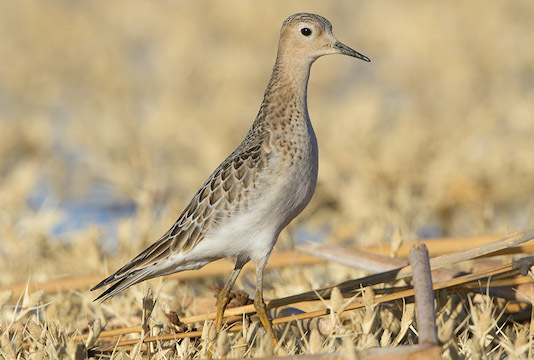 I've seen them in northern Alaska and in Kansas but this is the first of the species I've seen in California. 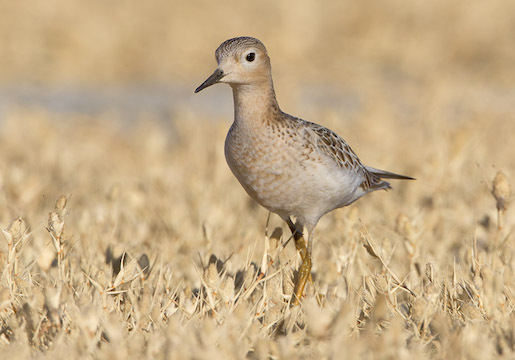 Probably a juvenile, it was at the San Jacinto Wildlife Area near Riverside, California. 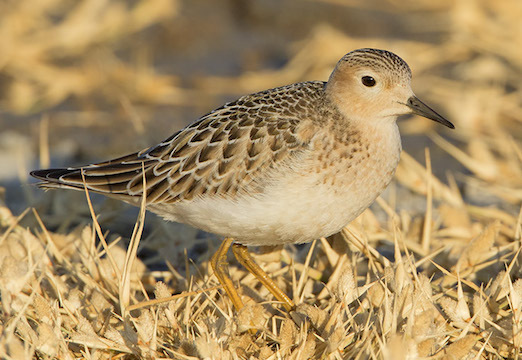 It was fairly tame but was in a flock of least sandpipers, which were very skittish and kept flying off, scaring the buff-breasted in the process.